Water Wetsuit - 1/2 Liter keeps your drink cold. 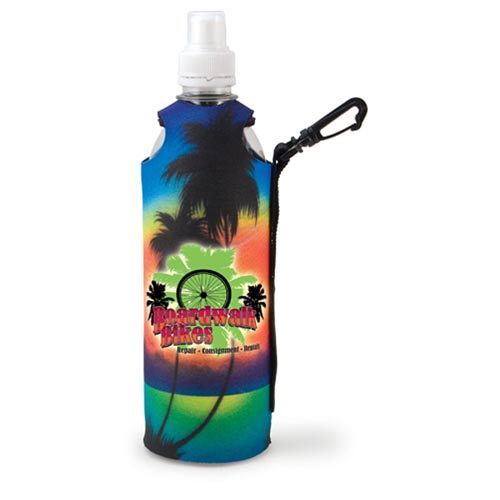 Promotional 1/2 Liter Water Wetsuit.Insulates 16-20 oz. bottles. This is the same material that divers use to keep warm under water. Using the same insulating principles, it helps keep your drink COLD! Full glued-in bottom. Blank Bottles can be included and inserted for an additional charge of $.70. Bulk / 10 lbs / 50 pcs. / 18" x 18" x 14" box. 6 Business Days *Production time begins after artwork approval and does not include shipping time.